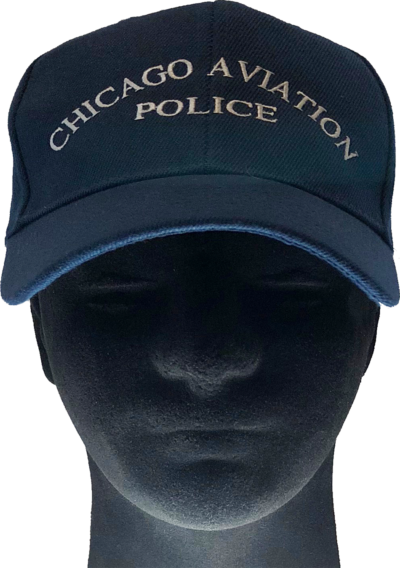 This Dark Navy Chicago Police uniform 6 panel high crown cap is custom manufactured by Nissin Cap and is made in China from 100% Polyester. Cap has a fabric strap with adjustable hook & loop velcro closure. 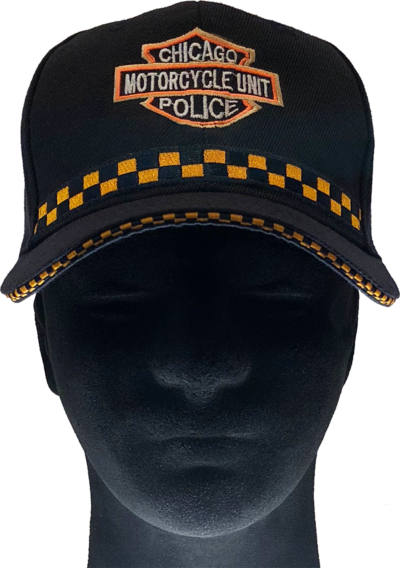 This Dark Navy Chicago Police Motorcycle Unit 6 panel high crown cap is custom manufactured by Nissin Cap and is made in China from 100% Polyester. Cap has a fabric strap with adjustable hook & loop velcro closure. 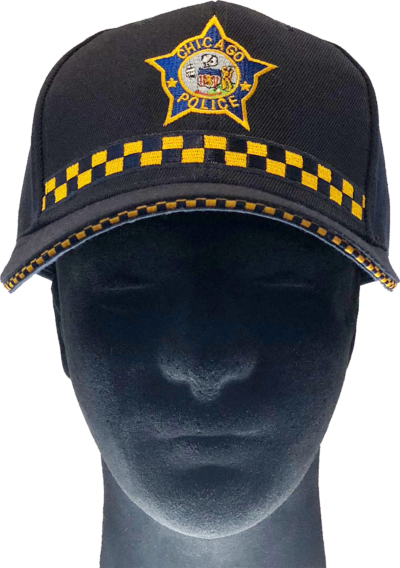 This Dark Navy Chicago Police Star 6 panel cap is manufactured by Nissin Cap and is made in China from 100% Polyester. 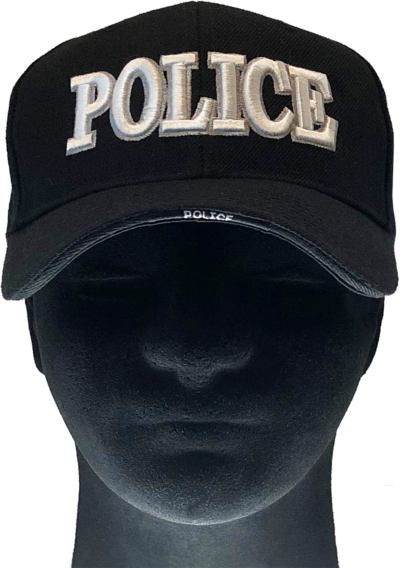 Cap has a fabric strap with adjustable hook & loop velcro closure. 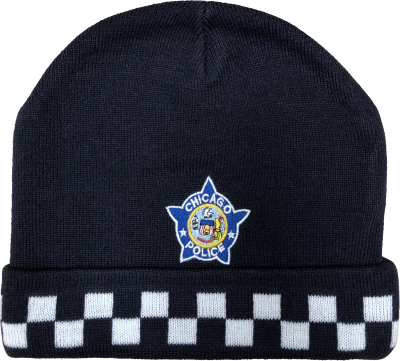 This Black knit Chicago Police uniform winter skull cap is custom manufactured and is made in China from 100% Acrylic. One size fits all. 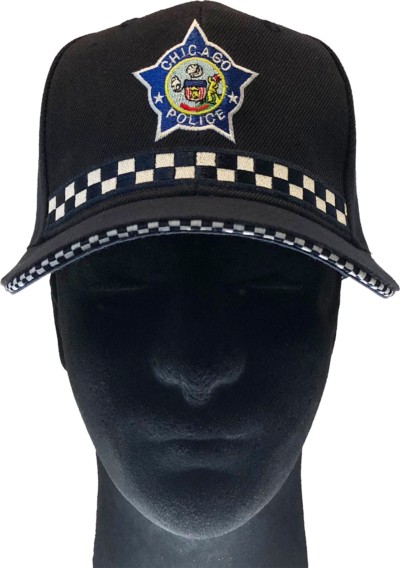 The cap features an embroidered Chicago Police Star above the Sillitoe Tartan checkerboard panel worn by Police Officers. 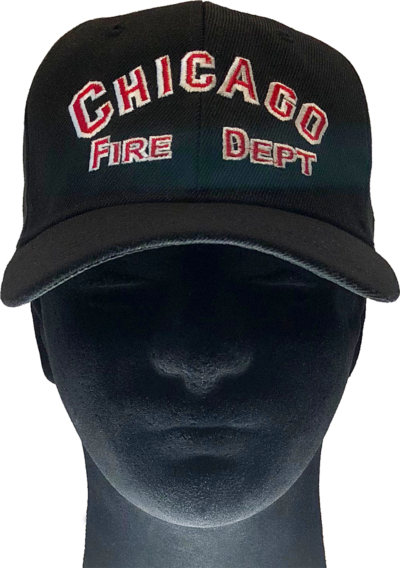 This Black New York City Fire Department FDNY 6 panel cap is manufactured by Nissun Cap and is made in China from Cotton & Polyester. Cap has a plastic strap with adjustable snap closure. 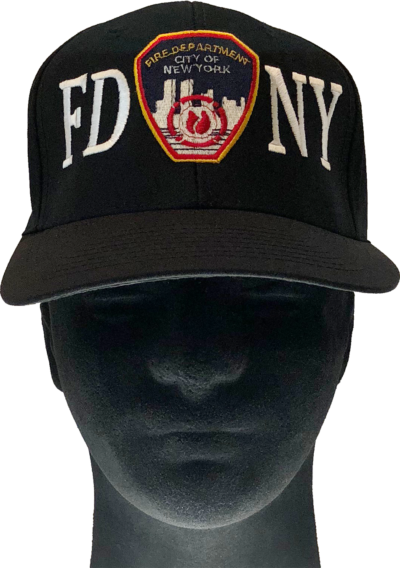 Cap features an embroidered FDNY shoulder patch. 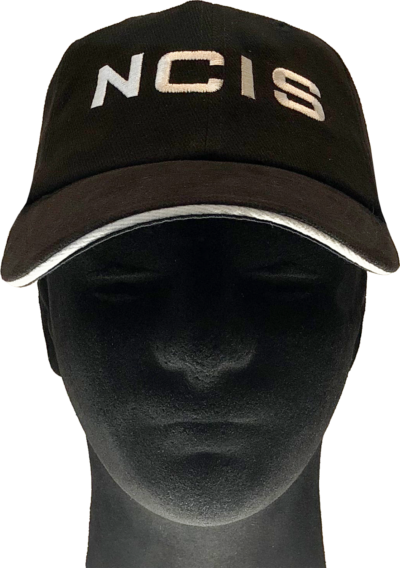 This Black Naval Criminal Investigative Service NCIS 6 panel cap is manufactured by Nissin Cap and is made in China from 100% Wool. Cap has a fabric strap with adjustable metal buckle. 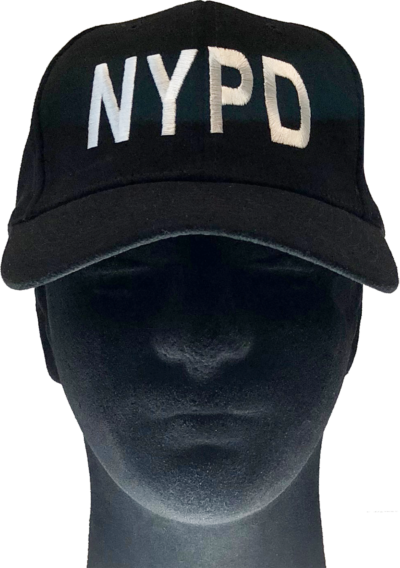 This Black New York City Police Department NYPD 6 panel cap is manufactured by Nissun Cap and is made in Philippines from 100% Wool. Cap has a fabric strap with adjustable metal buckle. 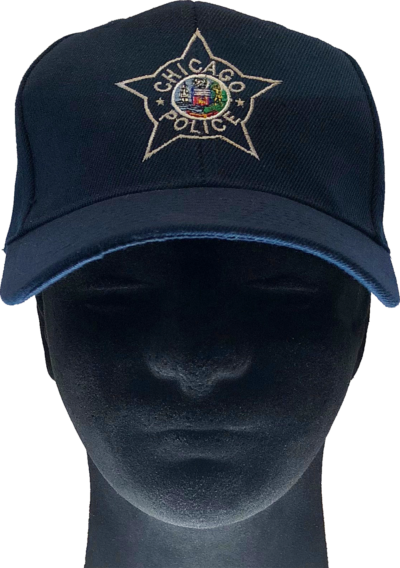 Cap features an embroidered American Flag on its left side. 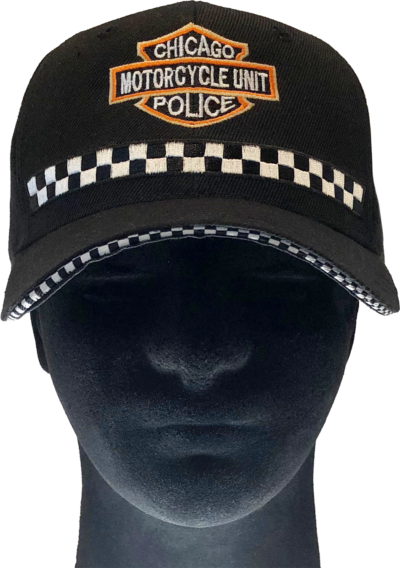 This Black Police 6 panel cap is manufactured by Sam's Cap and is made in Vietnam from 20% Wool and 80% Acrylic. Cap has a fabric strap with adjustable hook & loop velcro closure. 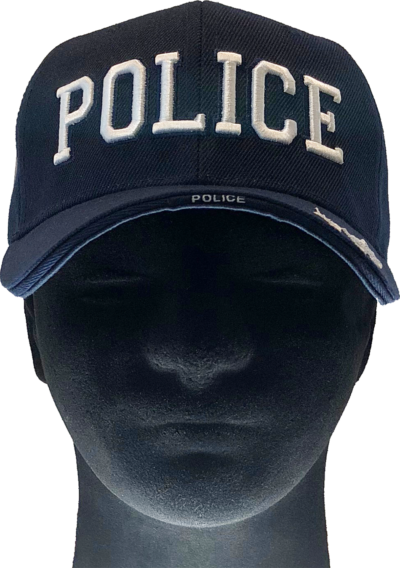 This Dark Navy Police 6 panel cap is manufactured by U.S. Warriors and is made in China from 100% Acrylic. Cap has a fabric strap with adjustable hook & loop velcro closure. 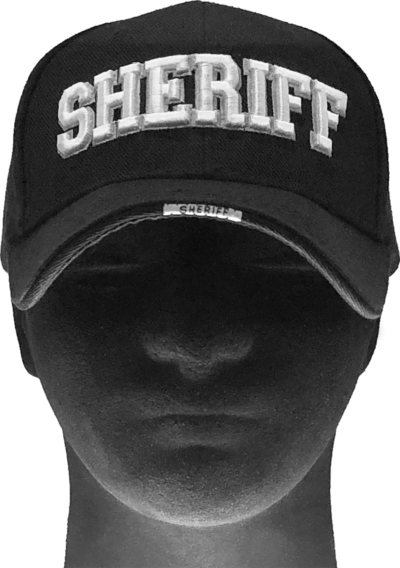 This Black Sheriff 6 panel cap is manufactured by Nissin Cap and is made in Vietnam from 100% Acrylic. Cap has a fabric strap with adjustable hook & loop velcro closure.